Ancient name of Cranganore,(also known as or Mahodayapuram, Muziriz, Muchiri, Musirippattanam, Muyiricodu, Vangi, Vanchi, Vanchinadu, Tiruvanchinadu, Jangli, Gingaleh, Cyngilin, Shinkali, Chinkli, Jinkali, Shenkala , Cynkali, Columguria, Kotilingapuram, Kudalingapuram, Makodai, Kodunkaliyur, Thiruvallur, Ravivisvapuram and Balakreetapuram these were different names of Cranganore which is the angelized form of Kodunkaliyur , now this place is known as Kodungallur ) is also mentioned in the epics Ramayana, Mahabharatha, Akananuru, and Chilappathikaram. The Greeks, the Romans (known locally as the Yavanas) and the Jews, Arabs etc all have come to this place at different times in its history for trade and according to legend, the history of Kerala’s Jews goes back as far as the time of King Solomon (1011-931 B.C) when trade in exotic items from India such as peacocks, ivory, sandalwood and spices flourished. 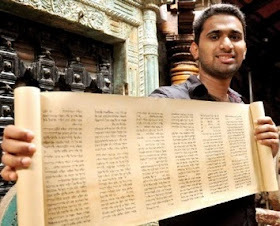 Many believe that Jews arrived on the Malabar Coast after the destruction of the Second Temple of Jerusalem in 70 CE. Interestingly, the Christian tradition recounts that when St Thomas arrived on the Malabar Coast in the first century, he attended a wedding in Cranganore (a port town near Cochin). He sang a wedding song in Hebrew, which no one understood, except a local Jewish flute girl. 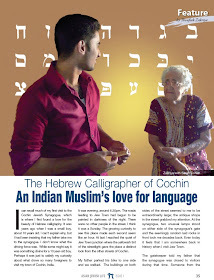 This story seems to prove the existence of Jews on the Malabar coast as early as the first century. The Jewish community in and around Cranganore enjoyed amicable relationships with local rulers. It grew and prospered over the centuries, building several synagogues. 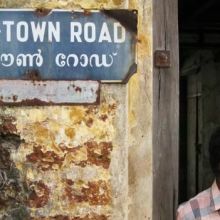 In 1524, because of conflicts with the Portuguese and Arab Moors, they were forced to flee from Cranganore to Cochin and to other jewish settlements In cochin they found protection under the Hindu Raja, who granted them land adjacent to his own palace for a town that became known as "Jew Town”. Palur ( Palayoor or Palayur) is a part of Thrissur district and is located on the west coast of Kerala, in India. By road it is 28 km from Thrissur on the Thrissur - Chavakad route via Pavaratty. It is very near to Guruvayoor, which is only 2 km away. Palayoor is famous for its Christian church, St. Thomas Church (Palayur) which is believed to have been established by St. Thomas the Apostle in AD 52. Palayoor also had an ancient Jewish settlement known as the Jews' Hill. There are evidence for the existance a synagogue in Palayur and a torah finial from this synagogue is still with The Hebrew of Jerusalem, donated by the Cochin Jewish immigrants. And ruins of a synagogue is found near the Church and a Hindu temple. This settlement is also mentioned in “Notisias dos Judeos de Cochim” by the traveler Moses Pereyra de Paiva. Pullut is a small and beautiful village located in Kodungallur municipality. It is an island surrounded by Kodungallur back waters.4 bridges at the 4 corners connecting the outside world with Pullut. 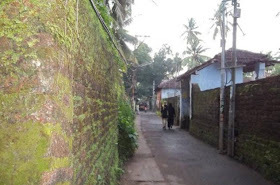 Near to Kodungallur bared a Jewish community but there exists no physical evidence for that. 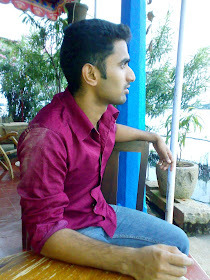 Madayi is a small place in Cannanore (Kannur district), Kerala, South India. It is located near Payangadi. Madayi today hosts a vibrant community of Hindus and Muslims alike but there is a fact that is given below. This is a relevant detail of the existence of the settlement, and proves the reliability of the tradition too. Apart from that this community has a speciality, that is that this community was established much far from other three ancient jewish communities communites. 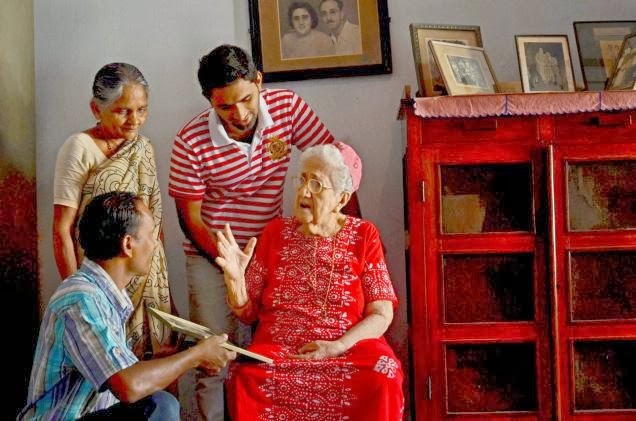 And this can be counted as the “Jews of Cannanore.” which is mentioned by many indigenous historians and medieval travelers. There were other neighboring settlement for Madayi namely Muttam. Excellent post. However,we have heard a different view on Palayur. The place now identified as Palayur was most probably under the sea during the Jewish immigration. The more probable location is Paalur (in Arthat where the church supposed to have been established by St.Thomas stands). The place has a Juthakkunnu (Jew Hill). 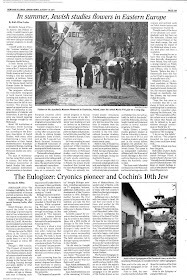 Very little research has been attempted into the history of Jews in Kerala. For instance, there were reported to be ancient Jewish settlements in Chaliyam (present Beypore, near Calicut) and Panthalayini. Let us hope the deciphering of the Geniza fragments will throw more light on this area. Palur is the another name for Palayur, which is near to chavakad, Trissur. Chavakad and a part of palayur would have been under the sea during the arrival of Jews after the Babylon exile (586 B.C as i have stated in my article cochini scroll and Babylonian exile), and rest of the area of Palayur including Arthat would have been a port city, where Jews established their settlement. Later during the Flood of 1341 or other any other geographical drift the land would have formed. 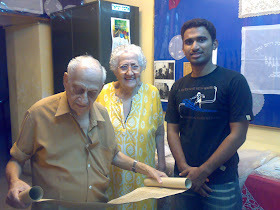 Dr. P.K Peethambaran is a friend of mine. I remember that he had a word with me about this novel. There is one more very famous Malayalam Journalist and writer who is writing a novel in which A.B Salem is portrayed as the hero.